The Faithless Elector stories shine a glaring light on complacency by homing in on people working frantically to preserve and protect the weakest, most vulnerable aspects of our democracy–the Electoral College, legislative oversight, an independent judiciary. 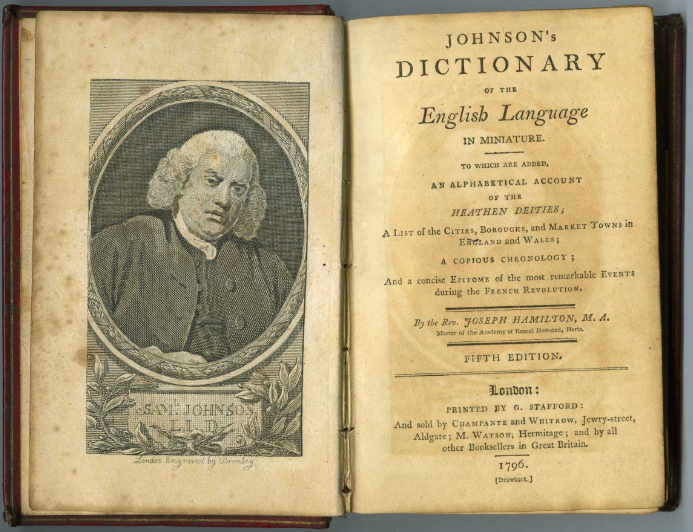 Samuel Johnson’s quote, above, might also extend to vigilance in politics. [He didn’t get everything right about politics, by the way, nor the Americas for that matter: see Taxation No Tyranny (1775)]. Like housework, politics is never finished; and it is precisely when things seem to be going reasonably well that we let our collective guard down, stop paying attention. Faithless Elector, which debuted in March, 2016, is a taut thriller about stealing the presidential election. Its central premise concerns the latent weaknesses and possibility for abuse inherent in the Electoral College system. The precise machinations envisioned in the book have not come to pass (thankfully! ), but the larger issues raised by the story remain. Those same weaknesses remain latent and prone to mischief…and there are others, as we are seeing almost daily. Faithless Elector, and the second book in the series, Dark Network (on sale Oct. 20!) were never narrowly about political parties or merely the weakness(es) of the Electoral College; but rather, the precarious vulnerability of our democracy and its potential impotency in the face of decisive, ruthless, well-heeled interests. “Governments are instituted among Men,” the Declaration of Independence reads, “deriving their just powers from the consent of the governed”. The Faithless Elector series stares unblinking at the forces arrayed to thwart and negate that consent. Taken together, they are the stories of ordinary people in extraordinary circumstances. I’m gratified that readers (see Amazon reviews) and independent reviewers have picked up on these broader themes of political accountability and personal responsibility, of the necessity for “ordinary” people to participate in the life of their nation. The series has never been about the rightness or fitness of one party or another. Parties are, after all, at least responsible and responsive to their constituents; and ideally, when a party no longer has our consent, they are voted out. The series is about what can happen when a tiny group seeks extra-democratic means to take control for their own benefit. In that way, the books may be more prophetic than even I imagined. You should see for yourself. 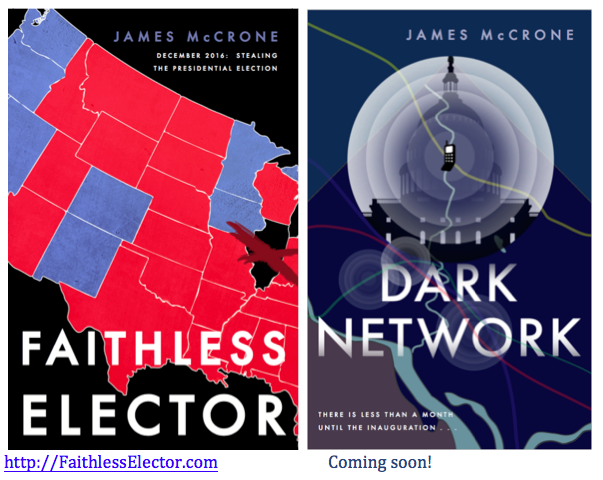 James McCrone is the author of Faithless Elector, a suspense-thriller, Publishers Weekly calls it a “fast-moving topical thriller.” Its “surprising twists add up to a highly suspenseful read.” Kirkus Review says it’s “A gripping and intelligently executed political drama.” The sequel, Dark Network, will be available October 20.